Did you know that clicking through the “Random Blog” link you see at the top of every page at Tripawds can lead you to all sorts of great stories? 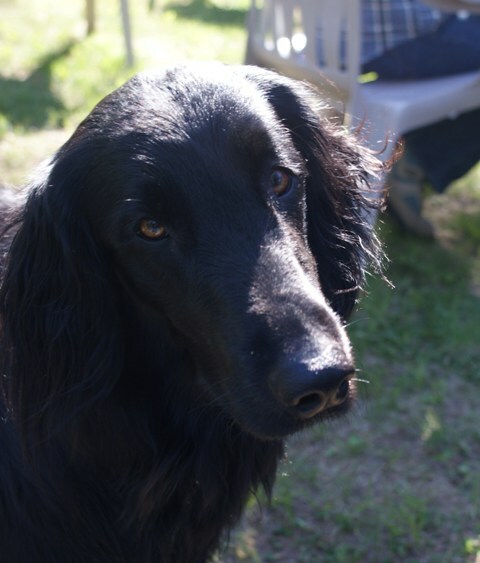 Today on Tripawd Tuesday, Tate, the three-legged flat-coated retriever from Chicago appeared for us! Flat Coated Retriever Jake will always be remembered. Tate was diagnosed in February 2011 with histiocytic sarcoma. In his blog we learn that he was just five years young! And although his time with us was far too short, he and his human mom Jan (aka “TatesPeeps“) quickly became a beloved part of our community. He lost his leg in February, but that didn’t slow him down. He lived life to the fullest in the nine short months he was with us as a Tripawd. He even met up with other Tripawd heroes during summer! 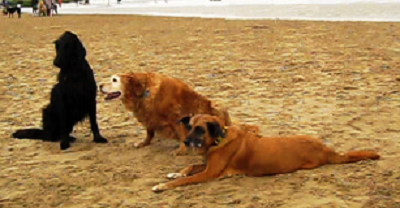 Three Tripawd heroes on the beach. Tate, Ginger and Isabelle. Shortly after Tate got his wings in November 2011, his new sister Sam and his parents gathered once again for a celebration of Tate’s life. 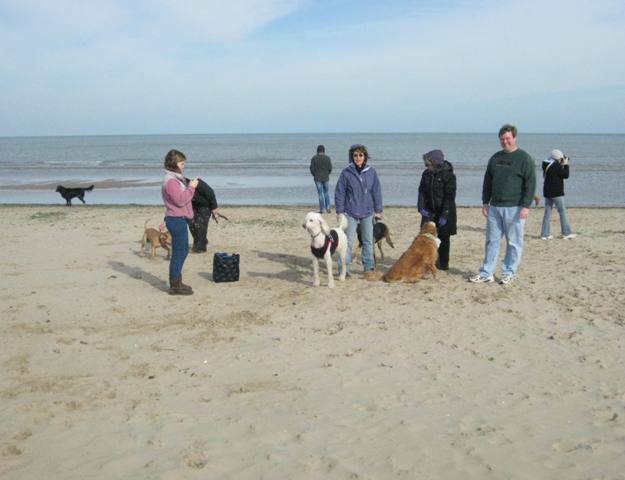 Other Chicagoland Tripawds members like Cadence and Ginger joined in honoring their hero. This bittersweet memorial is captured in his blog post “Tate’s Excellent Celebration (or why Tripawds Peeps are the Best!). Tate’s celebration of life with Tripawds family. Tate’s journey on three legs was far too short. But because his humans chronicled it in their Tripawds blog, every step of his life as a Tripawd will always be there to inspire newcomers. And his blog will also warm the hearts of others knew and loved him. Tate, and every other Tripawd hero, will stay in our hearts forever.